Current technology – your phone, your car, your smart home device – allows for the collection of far more detailed information about you, your preferences and your behavior than ever before. 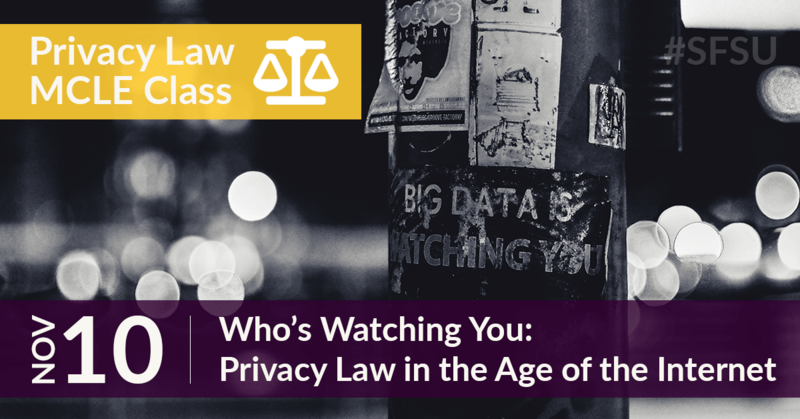 This course is designed to provide participants with a broad overview of the legal issues in privacy and data protection and with a basic understanding of their rights. Fundamental concepts in privacy and data protection. Privacy and data protection regulation in the U.S., such as in the healthcare, finance and telecommunications sectors. Privacy and data protection regulation in Europe (GDPR), or why am I suddenly seeing those annoying cookie notices? The California Consumer Privacy Act of 2018. Register on the 6th floor or by calling 415.405.7700.